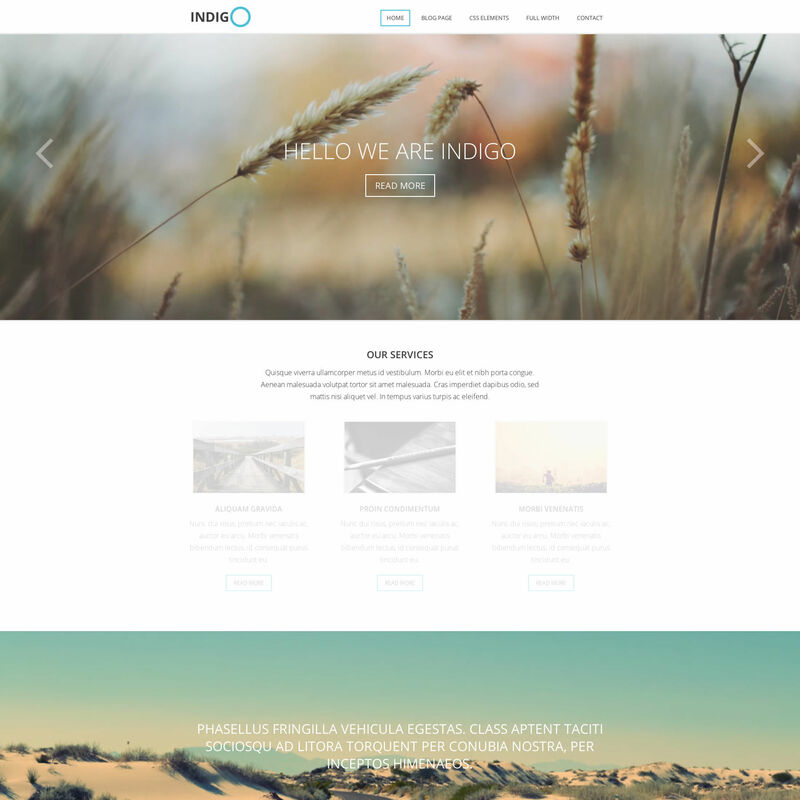 Indigo is a clean and professional WordPress theme with 100% responsive design that fits well on all kinds of devices. In the front page there are different sections like services, widgets, team members etc. A nice parallax effect and other minimal effects make the theme more interactive while keeping the focus on the clean display of the content. - Multi level drop down menu. - Attractive front page slider. - Featured team members section. 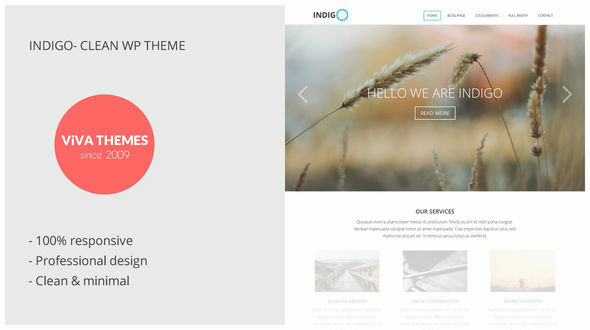 - Theme customizer that allows you to change colors and other aspects without touching code. - Translation ready, pot file provided. - Five widget ready locations. - Added featured images function to the blog page posts. - Updated Genericons to v3.3.1 - Theme is now translation ready, pot file provided. - Fixed a bug apparent in WP 4.2 that did not allow front widget background image to upload. - Fixed a bug that displayed code when only one menu item available. - Overall code improvements.